Becoming aware of new designs is great, but it’s extra special when the talent behind these creations has been ‘home grown’. Northern Ireland wouldn’t be considered at the forefront of design compared to the likes of London, and probably never will be. It pains me that a number of Northern Irish Interior Designers that I’ve spoken to in the past had never heard of Tolix. For those of you who aren’t aware of what a Tolix chair is, shame on you! 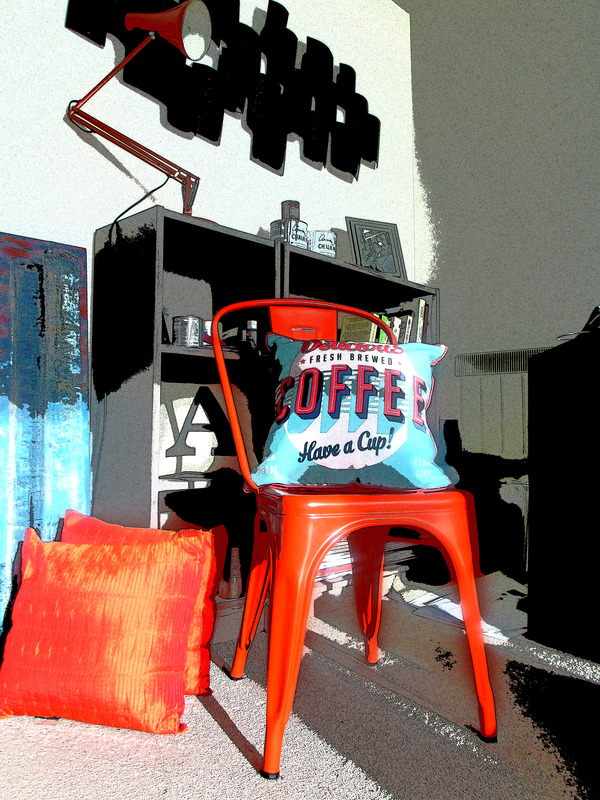 Here’s a snap of my authentic Tolix chair, that takes pride of place in my living room. Guided tours are available every Tuesday from 8pm-8.24pm. So, naturally I got excited when I stumbled upon the creatively gifted and Belfast based, Abigail Ryan Homewares. This husband and wife team use 100% Pure Irish Linen that is manufactured locally (how awesome) and take pride in declaring that all of their products are made in the UK. Their nature-inspired designs are available in the form of lampshades, wallpaper, fabrics and cushions to name but a few and have a charming vintage aesthetic with both subtle and eye-popping colour-ways. Abigail and Ryan have made such an impact on the design scene, that they have collaborated with Jo Malone, have been featured in ELLE Decoration and can boast Liberty London, Fenwick’s of Bond Street and Selfridges London as stockists of their unique, hand illustrated designs. I’m suddenly feeling like quite the under-achiever here. Anyway, this isn’t about ME, this is about Abigail Ryan Homewares… moving swiftly on. I guess you’d like to see some of the designer gems that Abigail Ryan Homewares has produced, right? Then feast your eyes on this exquisite little illustration that I’ve put together courtesy of Photoshop. Seriously though, how sublime is the blue/orange colour palette of the cushion (top left) and lampshade (bottom right). These are without a doubt my favourites. With the grey/purple combo coming in a close second. 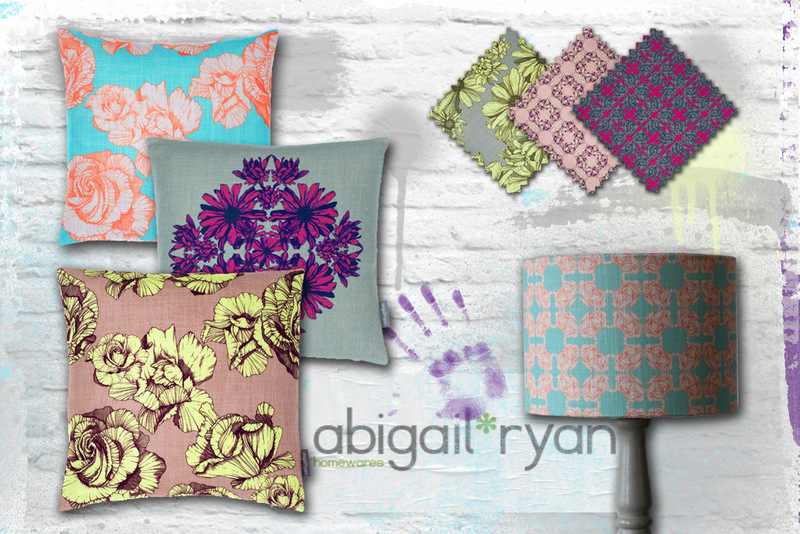 Bravo to Abigail Ryan Homewares for producing such an individual, quirky and charming range of designs that could easily be incorporated into traditional and contemporary design schemes alike.